“The European Union, in accordance with international law, does not recognize Israel’s sovereignty over the territories it occupied since July 1967, including the Golan Heights, and does not consider them as part of Israeli territory,” said Maya Kosyanchich, a spokeswoman for E.U. foreign-policy chief Federica Mogherini. 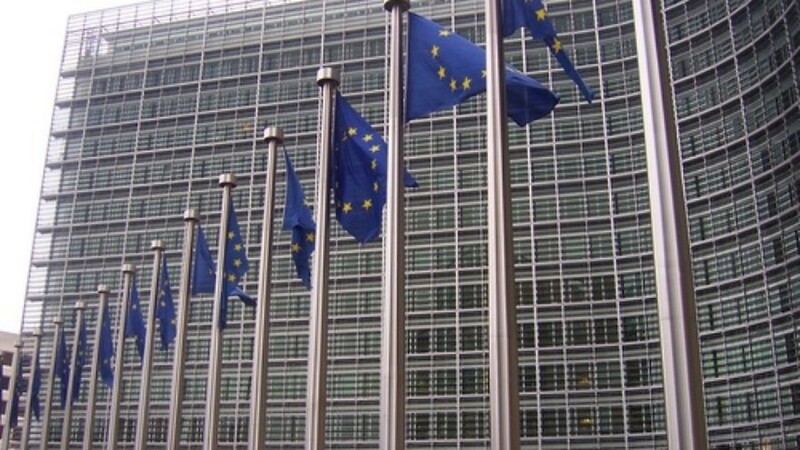 European Union flags in front of the European Commission building in Brussels. Credit: Amio Cajander via Wikimedia Commons. (March 22, 2019 / JNS) The European Union announced on Friday that it will not follow U.S. President Donald Trump’s lead and recognize Israeli sovereignty over the Golan Heights. “The European Union, in accordance with international law, does not recognize Israel’s sovereignty over the territories it occupied since July 1967, including the Golan Heights, and does not consider them as part of Israeli territory,” said Maya Kosyanchich, a spokeswoman for E.U. foreign-policy chief Federica Mogherini, in a statement reported by multiple media outlets. “We have taken note of US President Trump’s Tweet on the Syrian Golan Heights occupied by Israel. The position of Germany and the EU on the Golan Heights is unchanged and in line with relevant UN Security Council resolutions,” tweeted the country’s Foreign Office. Germany is a member of the European Union. We have taken note of US President Trump’s Tweet on the Syrian Golan Heights occupied by Israel. The position of Germany and the EU on the Golan Heights is unchanged and in line with relevant UN Security Council resolutions. Trump tweeted on Thursday his support for Israel to remain in control over the strategic Golan Heights region. Fox News reported that the president is expected to apply the tweet to an executive order that he will sign next week, making the recognition official. This could occur when Netanyahu visits with the president on Monday and Tuesday at the White House.